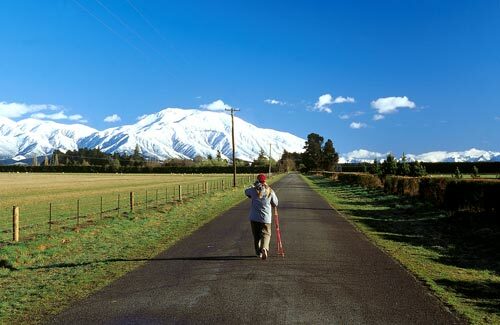 This typical long, straight Canterbury road points toward Mt Hutt. Metalled roads were built in the early days of settlement, but most were not sealed until well into the 20th century. For example, the road connecting Christchurch and Ashburton was finally sealed in 1939.